Are you desperately looking for the guitar tuner? Well, finding the best guitar tuner available on the planet is quite a difficult task. Don’t worry we are here to tell you that which guitar tuner is worth buying. Gone are the days when you have to tune up your guitar with a piano or with a pitch pipe. There are thousands of sophisticated digital tuners exist to make the guitarist’s life very easy indeed. Here’s a list of the best guitar tuner available in the market for you. The Boss TU3 Guitar Tuner is undoubtedly an evolution of the world’s best selling stage tuner. It is one of the most popular stage tuners which packs up with 21-segment LED meter with a High Brightness mode which cuts through the hardest of outdoor glare. 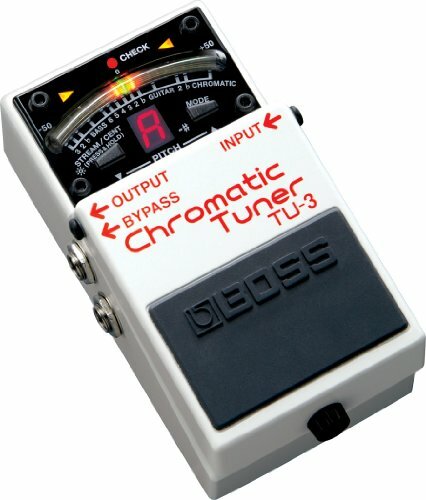 Moreover, when it comes to the quality of the Boss TU3 Chromatic Tuner Pedal, then I would say that it is best to buy and fit for you. It offers you a very robust casing as well as a wide running range of C0 to C8. Another feature that includes with the device is when you hit the right pitch; then the tuner lets you know. Overall, it is a professional stage tuner with compact size and the reason why it is so popular is that it is entirely compatible with any guitar. Essentially, Boss TU3 Chromatic Tuner Pedal is a new standard tuner that no guitarist should miss out! Furthermore, the stage tuner comes with a 5-year Warranty. When PolyTune was first introduced in 2010, then it’s a forever revolutionized the way musicians tune their instruments. Whether it’s a professional or an amateur player, this guitar tuning is something which every guitarist must have! It is an ultra-compact polyphonic tuner that offers you fast, accurate as well as high-quality tone in a single unit. The features like “Always On” mode offers a tuner display even if the PolyTune 3 is not muted. Basically, it’s a well-built tuner pedal with everything you need as well as lightweight. 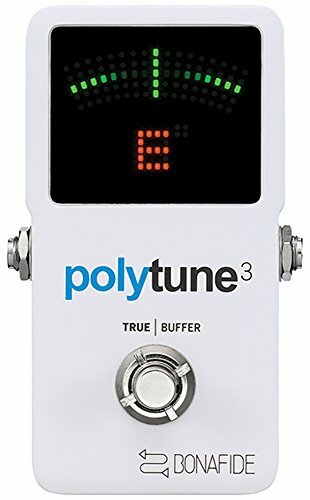 The great-sounding buffer makes TC Electronic PolyTune 3 Tuner Pedal utterly amazing. Now, whether you’re performing on a truck bed in sunlight, or in a dimly-lit tavern, or on a stage with a huge light show, this tuner pedal super-bright LED display features an ambient light director that automatically adjusts the intensity. You can easily readout what the screen is displaying. The next guitar tuner on our list is Donner DT-1 Chromatic Tuner Pedal which is super budget friendly. 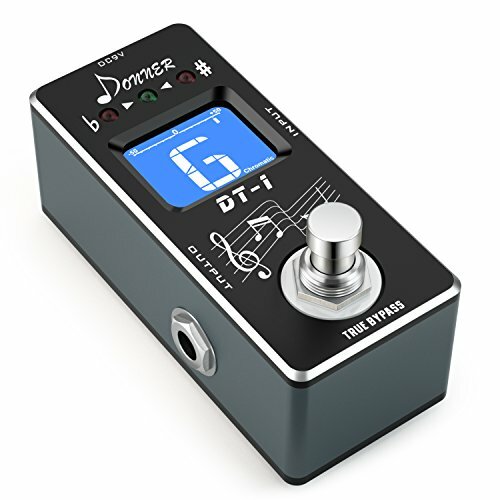 Basically, if you’re looking for a tuner that is budget friendly, then Donner DT-1 is the one which is a perfect fit for you! It is chromatic which is suitable for a wide range running with an auto-tuning method. Moreover, the Donner DT-1 Chromatic Tuner Pedal offers a durable as well as it is a considerable long-term investment since it is used for an extended period. It is an outstanding product, that certainly means a lot of t guitarists looking for their guitar which is being tuned for a live performance or a gig. Now talking about the quality, it is made with a 100% metal that prevents it from getting a break. Now when you start the tuning this best guitar tuner correctly then, it will show you a blue light as an indicator. Overall, Donner DT-1 Chromatic Tuner Pedal is a must buy if you are a professional guitarist with a low budget. The KLIQ MetroPitch is a 3 in 1 device which combines a tuner, a metronome, as well as a Tone Generator, with a pocket-sized device. 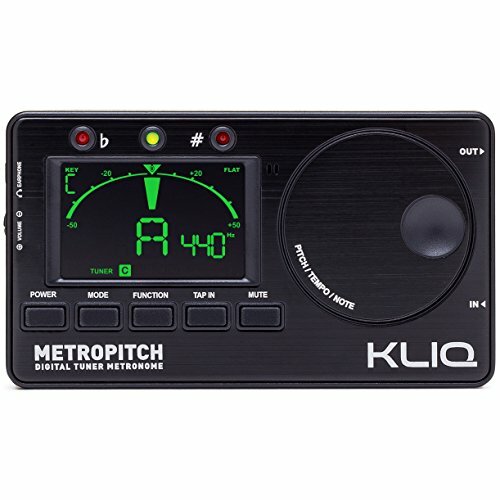 Radically, KLIQ MetroPitch tuner is a versatile tuner which is quite fast, and accurate tuner boasts with a wide range of A0-C8. It also includes various tuning modes, transposition settings, and of course pitch calibration so that you can play any instrument. KLIQ MetroPitch is easy to use the tuner, and with the intuitive JOG Dial, it lets you play in your desired tempo easily. Moreover, this best guitar tuner offers you for making swift pitch selection in the Tone Generator, among other functions. Just like others the KLIQ MetroPitch guitar tuner it is undoubtedly well suited for use on stage. The built quality of the product has a tempo with some different rhythm patterns which is mainly handy for practice. Overall, if you like the versatility of the combined tuner, metronome as well as a tone generator and don’t want to tune during the live concerts then KLIQ MetroPitch tuner is a reasonable option which you must give a try! 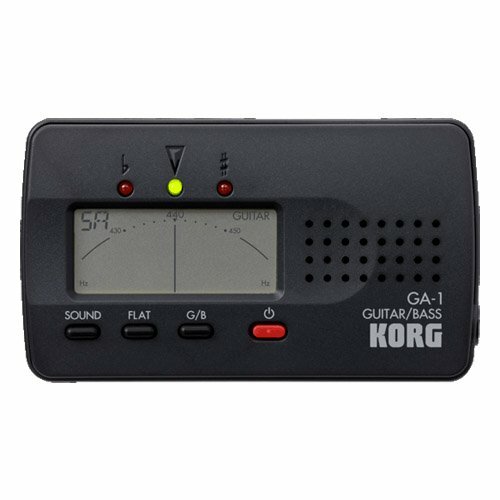 The Korg A1 is another most popular handheld tuner, featured on our list for the best guitar tuner. It stood for nearly a decade, among the top-selling tuners on the web. It offers excellent features such as new, enhanced design, ultra compact LCD needle-style guitar, and bass tuner. Although the Korg A1 guitar tuner has a backlit needle display; however, the LED readout makes the tuning even more accessible in the dark environments. Moreover, with high accuracy as well as superb functionality have made Korg Guitar and bass tuners worldwide famous. You can select between the Guitar mode or Bass mode for smooth operation with automatic pitch detection and thanks to its dedicated guitar and bass tuner technology. Overall, Korg A1 is a guitar tuner that every professional guitarist must try! 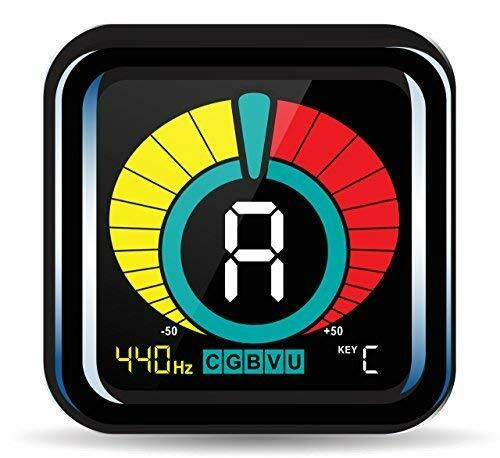 Features like the sound off functions, auto power-off, low-consumption design, and many more make it incredibly popular guitar tuner. Last but not least the Korg A1 comes at an affordable price, and I think it should be an excellent choice for any guitarist. Another affordable guitar tuner featured on our list is Korg PitchHawk G2 which sets the bar high for this style of the tuner. Although the price of the Korg PitchHawk G2 is quite higher, it’s a type of guitar tuner which every professional should use. It’s a clip-style tuner which you can easily attach to the headstock of your instrument. Furthermore, the device features the new high-brightness, a high-contrast color LCD that offers you to tune with high visibility even in bright light — made with the robust plastic body with slim looks improving both designs as well as functionality. 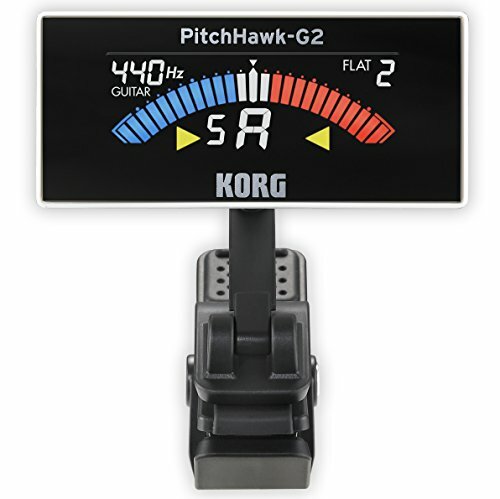 Overall, Korg PitchHawk G2 is a must buy the product if you’re a professional guitarist. Moreover, features like Calibration, Auto Power-off as well as memory back functions makes it entirely different from other best guitar tuners. All modes of the guitar tuner offer the precision you would expect from Korg. KLIQ UberTuner is a reliable guitar tuner which comes in a shape of the clip-style and is quite a compact device. With extreme accuracy, the KLIQ UberTuner plays a vital role for advanced musicians. Apart from this, sometimes knowing and understanding the letter is indeed not sufficient for some of the songs. Fundamentally, there are thousands of guitar tuners available in the market; but the best guitar tuners are hard to find. Now talking about the KLIQ UberTuner, it makes the device compatible with several other instruments. In addition to this, the guitar tuner has a robust body with a full meter display, enabling the user to know just how sharp or flat their note is! Overall, if you’re a musician who performs live in front of a large or small audience, then KLIQ UberTuner is worth buying. Features like 3-year manufacturer guarantee, dependable tuner, bright display, accurate tune make it best guitar tuners on the planet. Snark SN5X offers more feature-loaded clip-on style tuner which is used by most of the famous guitarist. The tuner is compact and offers accuracy as well as efficiency for an affordable price. This device can be used to tune a guitar, a bass or a violin for applications such as rehearsals, recordings, live stage, theatre, and much more. Overall, Snark SN5X is cleverly designed little chromatic tuner that mainly focuses on playing great music. It works well for both left as well as right-handed players. Features like built-in tap tempo metronome, high accuracy makes it worth buying for every professional guitarist. Most of the guitarists are familiar with a pitch pipe, before the invention of tuners, the ear was the best way to tune a guitar. And training your ear to recognize notes is still an excellent thing to do. Although there are numbers of best guitar tuner, let’s check out the three main categories of a digital tuner and what they bring to the table. These tuners are clipped onto the headstock of your instrument. Some of the clip on’s are usually attached with microphones, most of the guitar tuners will be determining the pitch by measuring vibrations picked up through the clip- which means none other voice will affect the reading. These clip on are often small as they need get fixed at the headstock. They offer a small but readable colorful LCD screen. The clips are considered highly productive and convenient as they are always attached to the headstock and does not require you to rest the instrument on your lap or a table while in use. They are very affordable, but often these devices are responsible for the least accurate of the instrument. You must have guessed it – these tuners are the type which needs to be held or kept for rest on a table! Not like clip-on, these tuners are usually very accurate, inexpensive, durable and easy to use, these handheld tuners are small in a way that it can easily slip into a gig bag. These tuners are sized with a smartphone giving a sleek and large LCD, which is often more significant and more detailed than a clip-on tuner. They often make the use of a needle to display the reading and have numerous different tuning settings with some metronomes and other features built it. It consists of a great battery backup and allows you to make the full use of it. The most common and most inappropriate disadvantage of these tuners is that to use them, and you need to have a hand free to hold it, this means you need to be in an awkward position by balancing the instrument on one knee and keeping the tuner in one hand. Pedal tuners have taken the form of a classic stompbox and sit alongside with the other pedals on your board. These tuners are purely designed to be used on stage and using these is just like pressing a switch with your foot. These pedal tuners have a variety of features and are very convenient by giving a bright display and tending to be the most accurate option. However tending to be the most accurate one it also tends to be the most expensive one, ranging from around 40$ to 100$. They are even more substantial than other tuners, making it less convenient to carry around the place. These are not the tuners for beginners, but these are a great option for gigging guitarists. Other tuning methods do exist and to be warned these aren’t as convenient or accurate as a dedicated tuner. As mentioned earlier, one of the most traditional methods is to use a pitch pipe. These devices require a blow into the little pipe which delivers the pitch you need. These are very affordable and can be picked for a few dollars but are not as accurate or reliable as a digital tuner. If you still wish to have a digital one and don’t care for having a dedicated tuner, you can use online tuning apps or android apps for your smartphones and tablets. If you need to find some of these tuning apps, let us make this work easy for you. The various tuning apps such as the piano tuner, strings, Martin tuner, and pitch lab are the apps worth checking out if you are going down this route. 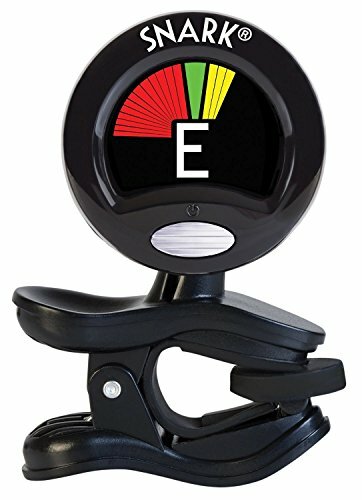 What To Look For in a Tuner? You need a tuner which is efficient, convenient, reliable and accurate. These all features will suit both to the beginner and an experienced guitarist. So what you look for will solely be depending on what you want out of your tuner. If you are a complete beginner then a clip-on tuner will be best for you, if you had experience and completed your classes or training, then you can have a headstock which is quite convenient. The pedals are kept for the stage performers the highly professional ones, the ones who are willing to spend approx 100$ for a tuner. That’s all about the best guitar tuner available on the planet. Finding a perfect guitar tuner which checks all the boxes like budget friendly, accuracy, good robust body with style looks. We try our best to provide you the best guitar tuner as well as a simplified model with good ratings and reviews. Moreover, if you think that we have forgotten to add any guitar tuner which must make a mark in our list then do enlighten them in the comment section. Love reading this! Do share it with your friends and leave a comment for any assistance. Looking for the best guitar tuner? Find one that fits your budget and needs with our detailed guitar tuner reviews and comparison charts.